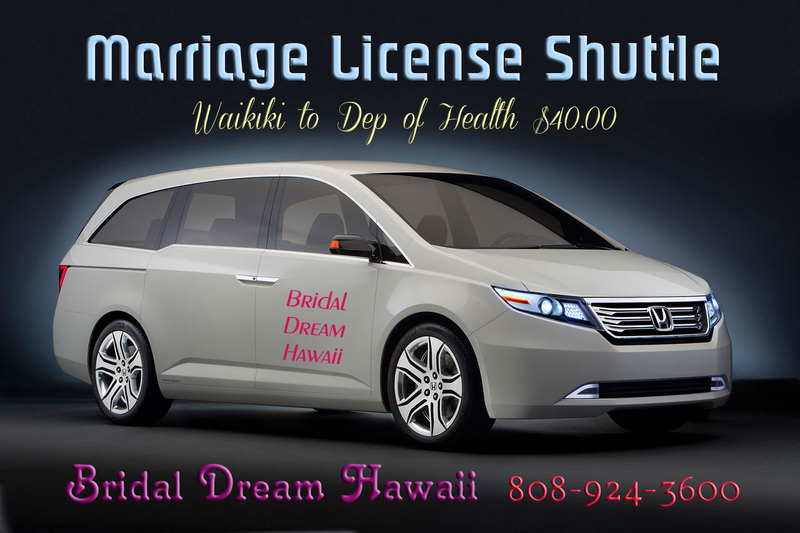 Need a ride from your hotel in Waikiki to the Marriage License Office? Add a Bridal Dream Shuttle to your wedding package for only $40.00. 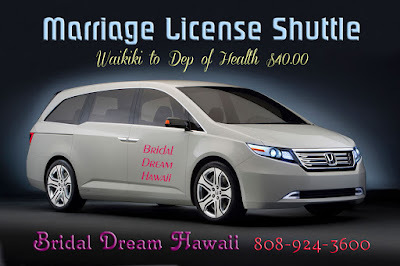 *Pick up from Honolulu Airport also available. Add $20.00.